I knew nothing about Stéphane Denève but his credentials are obviously excellent. His baton style is graceful, though a little hard to follow from the audience. He certainly won my heart with the Ravel, in which he added some fine subtleties of tempo that were quite convincing, and in the opening piece, which translates as “Pavane of the Sleeping Beauty,” with its ultra-thin texture in only 20 measures, he brought the full divided strings in at the end, pianissimo, with a haunting delicacy I wouldn’t have thought possible. We heard some fine solo work in “Hop o’ my thumb” with Robert Sheena’s English horn and Malcolm Lowe’s solo violin squeaks (the birds eating up all the crumbs on the forest trail). “Laideronnette, Empress of the Pagodas,” the third piece, is a black-key pentatonic piece similar to Debussy’s Pagodes for piano. “Beauty and the Beast,” which follows, is marked as a waltz, but has been called “the fourth Gymnopédie” after Satie’s three slow dances in similar rhythm. The final movement, “The Fairy Garden,” is an apotheosis for the suite, in a stately, hymn-like C major that builds to a full fortissimo. In all the 20th century there is no lovelier music than this short suite. Peter Serkin expertly played the solo in Stravinsky’s seldom-heard Concerto for piano and winds, composed in 1924 with a few revisions in 1950. This work, composed when Stravinsky was finding his way in full-blown neoclassicism and also discovering American jazz, is the antithesis of a big romantic concerto. It begins with a stately chorale chiefly in the four horns, rather like a funeral march in pungently dissonant A minor (returning again just before the end of the third movement); this serves as a prelude to the entrance of the piano with the full ensemble, Allegro, percussive, brittle and even harsh. But the piano really moves between chords that peck at the total sound and Bach-like melodic lines in clear counterpoint, and at the climax of the movement, note-values are cut in half but the tempo speeds up anyway. The first movement concludes with an abbreviated repeat of the opening chorale, with the piano included — but one can hardly hear it over the winds. The meter changes are quite complex, but Stéphane Denève had no trouble with them at all. The Largo in C major is a cantilena slow movement, such as in Bach’s keyboard concertos; indeed, the spirit of Bach seemed to have been a significant inspiration. There are two big cadenzas for the soloist that have always seemed oddly placed to me. The rest of the movement, as well as the finale that follows attacca, continues the neo-Baroque sound without diminishing either the percussive articulation or the bittersweet harmony. I wouldn’t be surprised to learn that Stravinsky had learned something from Prokofiev, the better pianist, in this work; later, Poulenc, younger than either, would learn from both in his piano style. I couldn’t stay for the second half and thus didn’t hear the Shostakovich Fifth Symphony. Shostakovich is one of the most uneven composers of the 20th century, but at his infrequent best he shares top rank among his contemporaries, and the 20-minute-long first movement of this famous work, with its Mahler-like development and irresistible drive, is surely an example of how good he can get. I suppose everybody knows now that this was the symphony — widely known as “A Soviet Artist’s Response to Justified Criticisms” — that redeemed Shostakovich and saved him from being thrown into the gulag. I wanted to hear some of the particularly memorable moments — the canon (at the fifth) between flute and horn, the solo violin, trumpet, and celesta near the end of the first movement. I’ll try to listen on the radio on Saturday. How is it possible that a “review” could be published when the reviewer did not listen to the second half? MDV: As you say, the Ravel was a delight. Deneve clearly knew what he wanted and he brought beautiful sounds out of the orchestra. He strikes me as an intuitive person, what I call “fusionary”, with open ego boundaries between himself and the orchestra, creating a special intimacy in their relationship. You may have found it hard to follow because it was between him and them. But the result was most excellent. The Stravinsky was certainly well-played, but the piece itself is rather aimless – saying he was finding his way is apt. I will be interested to see what you think of the Shostakovich. I found Deneve’s control of dynamics to be especially effective and the largo was to me the high point. But I won’t say more until you hear it. Regarding Waldo’s question, Mr. DeVoto did not review a performance of what he did not hear- he rather discussed the composition itself. When I checked the program before I left for Boston on Thursday, I had the thought that I really wasn’t interested in any of these pieces. But it was part of my subscription, so I went. We had heard the Ravel fairly recently, and if I never heard it again, it would be soon enough. But then they played it. It seemed so much more transparent than the earlier performance, so much gentler. Maestro Denève kept the performance no louder than mf and it was captivating. A thoroughly charming piece of music beautifully played — although perhaps I was paying so much attention to the beautiful sound the orchestra was making under Maestro Denève’s direction that I paid scant attention to the other elements of the music. The Stravinsky was new to me. Typically, he put in a lot of “wrong notes” to keep it from sounding pretty. But Mr. Serkin played with élan, and once more Maestro Denève seemed to have perfect control of the orchestra’s dynamics. 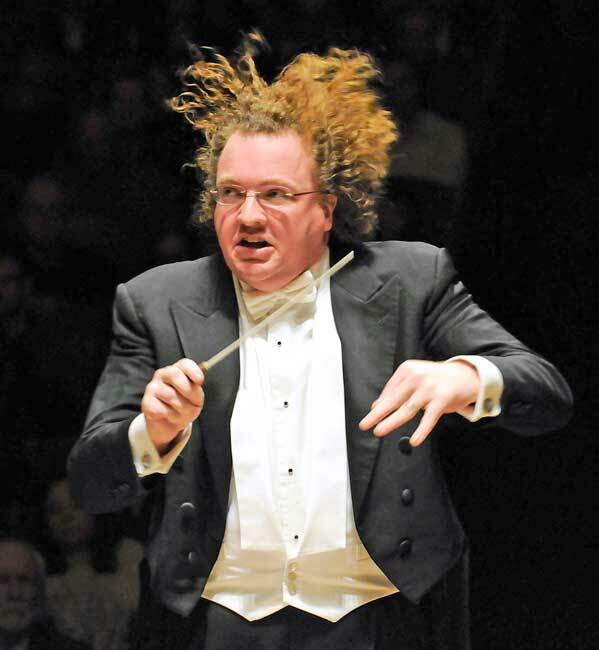 Shostakovich: loud and louder, with a thumping beat, I expected. Wrong again. Of course there are the loud and thumping parts, but there were also the soft and lyrical passages, which had not been what I took away from any earlier hearings. My thanks to Stéphane Denève and the BSO for giving me a truly memorable evening, the more remarkable because I had expected a throwaway. Perhaps I am misremembering, but I could swear that Mark De Voto’s comments on Shostakovich, as first published in his piece yesterday, included some mention of the Volkov-“edited” Testimony as having been clearly and finally proved spurious as a genuine memoir of the composer. I assume he was relying primarily on Fay’s analysis of the initial pages of each of the eight chapters, but in returning to De Voto’s piece tonight I cannot find the reference to Volkov. Does BMInt emend reviews after they appear? If so, does it ever offer reasons for the changes? Am I imagining this reference to the Volkov work? I have no axe to grind; I’m just curious. Saturday evening, and I just listened to the BSO broadcast all the way through, so I herewith amplify my report somewhat. The Ravel Mother Goose was as lovely as it was two nights ago, and it doesn’t matter to me that I might have done some things differently; Denève’s performance was perfectly attuned and perfectly French. (Full disclosure: I once did conduct this suite, plus the Prelude and Spinning-Wheel Dance, in Portland, Oregon, in 1966.) As for the Stravinsky, it was crisp and incisive, and the tempo at least of the first movement Allegro was slightly but noticeably slower. The performance did seem to bring out the cyclic connections between all three movements — these are mostly harmonic, but there are melodic ones too, especially between first and last. Which brings me to the Shostakovich Fifth Symphony. Hearing the whole symphony for the first time in several years, I thought more about its tragic aspects, and I take at face value the remarks attributed to Shostakovich in his often suspect Testimony: that the psychological impact of the finale is that of rejoicing under compulsion, like the first scene in Boris Godunov. The whole finale can be read parodistically in this way, not just as a reworked bunch of rejected scraps from the first and second movements, but also as a cry for help to the world at large, with the bombastic ending so clearly imitating the finale of Mahler’s First Symphony. The Scherzo movement, too, is clearly indebted to the Mahler of the Laendler movements of the Second and Ninth Symphonies. Shostakovich did succeed in simplifying his orchestral style in all four movements of the symphony, to make it more accessible to a public that certainly wanted to acclaim him as well as to mollify the minions of the Stalinist regime that wanted to brand him with “Western formalism.” (The simplification got worse in the Seventh Symphony, which was surrounded by wartime legend; but the war might have been what set him free again, and when he wrote his Eighth Symphony he was able to do what he really wanted as an artist, and his fame was such that he could not be rebuked again until the end of the war — as in fact he was after writing his Ninth Symphony.) I still think that the first movement of the Fifth Symphony is the most sincere part of the entire work and the most successful, and certainly the most expressive, as well as the best constructed. I confess I do not find the depth of feeling in the Largo that others profess to discern. It is built like a Mahler Adagio, with the full range of strings dominating everything, as in the finale of Mahler’s Third, but I still can’t understand where this movement goes either tonally or thematically. One who succeeded better, I think, in this kind of despairing statement was Carl Nielsen, in the Proposta seria which is the third movement of his Sixth Symphony. But I could possibly change my mind on further hearings. In response to Alan Levitan — I didn’t see your comment until I added my paragraphs above. I didn’t mention Volkov’s Testimony in my original report, but perhaps you’re thinking of Harlow Robinson’s program notes published in the BSO program. I think I also saw a reference to what you mention in a newspaper review, but can’t remember exactly where I saw it. I agree with Waldo. I find it troubling that BMI sent a reviewer that could not stay for the entire program. Either send someone else or don’t review this particular performance. Certainly the BSO is not wont for coverage. Has this happened in other publications? I cannot ever remember seeing such a thing. I don’t think that this is a good practice. Waldo and Dab are being ungenerous to Mark DeVoto. He left the concert because he was taken ill. He certainly did not review what he did not hear. Furthermore he went to the trouble of commenting on the subsequent broadcast. Please give the man a break. Dab, aren’t you getting it a bit too out of perspective? They are not industry “reviews” and I do not think that BMI “sends” anybody to anywhere. Mr. DeVoto I am sure has am much obligations to write as you have obligations it read. Furthermore, it was his article and he entitled to write and to listen whatever he wants. Instead of complaining about Mark you need to complain about bad conductors who play music so bad that even Mark, with his hypothetically paid tickets, still can’t get it. I don’t mean to criticize Mr. Devoto or to call into question his writing etc. I’m simply saying that if the reviewer is unable to stay for the entire concert, his/her review should not be published because it is incomplete. I never said he reviewed what he didn’t hear. He reviewed only the first half, in which case, someone else should have been dispatched the following night if Mr. Devoto was still ill or Mr. Devoto could have attended the concert the next night and written a complete review. I agree that it was good to have Mr. De Voto’s partial review and the follow-up. (There are many cases of a reviewer not staying and not admitting it, which is something that indeed could be criticized.) But I’m more interested in Romy’s very strong opinion that it was bad conducting. Admittedly, i grew up in New York hearing the Bernstein interpretation, so the bar was set pretty low. But I’ve heard many others since then and I thought this performance was quite decent. It might be a case where being in the hall made a big difference. That was certainly true of the Ravel, which came across as rather thin on the radio, compared to the shimmering, ethereal sound I heard live. (The Stravinsky, on the other hand, benefited from the distance. Not a criticism of Peter Serkin, who was wonderful, but of the piece itself.) Likewise, the Largo in the 5th had much more subtlety live than I heard on the radio. Overall, I thought very highly of Deneve and hope we see more of him. It was not necessary for Leon Golub to give Leonard Bernstein a cheap backhand slap by stating that “the bar was set pretty low” by Bernstein’s performance of the Shostakovich Fifth in New York. Shostakovich himself was highly complimentary of Bernstein’s interpretation when the Philharmonic played the work in Moscow in 1958, and Bernstein went on to make a famous recording of the work with the NY Phil shortly thereafter – a recording made in Symphony Hall in Boston, no less. Yes, that was provocative, but that performance was provocative from the start. The recording you mention is one of the first I ever bought as a teenager, so I know it well. I am coming down firmly on the side of those who think that Bernstein fundamentally misunderstood this symphony. Rostropovich pretty directly called him a fool for the way he did the last movement. As for Shostakovitch, he never said he endorsed the reading, but that he enjoyed it. He knew by then how to stay out of trouble. Anyway, we don’t need to guess at how it’s supposed to sound, as you can get several Mravinsky performances on YouTube. He did, after all, conduct the famous premier. And yet, if “Testimony: The Memoirs of Dmitri Shostakovich” (as quoted by Michael Steinberg) is to be believed, Mravinsky didn’t understand Shostakovich’s music either. But maybe he got it right without understanding the meaning. Interesting that the concert should not have sounded well on the radio– taken live, it was one of the most flexible and radiant performances I’ve heard from the BSO in a while. Interestingly (maybe), Ted Libbey, who is nobody’s fool about recordings, interpretation, or indeed music history, cites both the LB and the Rosty Fifths (and only them) in his Shostakovich entry in NPR Listener’s Encyclopedia of Classical Music. *** Joe Whipple: Mravinsky didn’t understand Shostakovich’s music either. But maybe he got it right without understanding the meaning. This is a big subject and unfortunately (fortunately) we never go to the bottom of this. Mravinsky did play some of the Shostakovich work well, did he like it – this is a complicated question. There is no such a thing as meaning of the Shostakovich works. The meaning of Shostakovich works (including the Fifth) is pure fictitious invention of people who sell music. Shostakovich was in a way idiot and even his own feeling of “meaning” shall be very much irrelevant. Stephen, why the concert should not have sounded well on the radio? I mean you feel anything religiously against listeinjg a concert over radio or you feel that something in Shostakovich 5 specifically did not allow being transparent over the radio? Romy – I think that Stephen was responding to my comment that the Ravel and the Shostakovich both sounded better live (Thursday night) than they did on the radio (Saturday night). This is not a preference of any kind, just reporting what I heard. It’s not at all uncommon, in my experience, for concerts to sound very different when you’re in the hall than they do on the radio, and usually the live performance is much better. My guess is that the technology is just not good enough to capture, transmit and reproduce the subtleties of the sound. These comments have all been so useful in helping me revisit the last movement of Shostakovich’s 5th, thank you. Mravinsky made it enigmatic, evoking a sort of precarious final regard for the reality principle. Bernstein made it cathartic and sexual — into an apotheosis of desire, a triumph of eros over thanatos (which in 1959, with the fear of a nuclear war and on the threshold of a huge revolution in sexual mores, was quite marvelous, really.) Deneve, on Thursday night, managed to give it a sort of indestructible classical radiance, reminding us of the unexpected and undeserved gift of “the virgin, perennial and vital now” of time, where creative action is forever briefly possible. *** Leon Golub: I think that Stephen was responding to my comment that the Ravel and the Shostakovich both sounded better live (Thursday night) than they did on the radio (Saturday night). This is not a preference of any kind, just reporting what I heard. It’s not at all uncommon, in my experience, for concerts to sound very different when you’re in the hall than they do on the radio, and usually the live performance is much better. My guess is that the technology is just not good enough to capture, transmit and reproduce the subtleties of the sound. Sure, no one would argue that live is live and that what we have over radio is in way a surrogate. However, if radio (as we have it today) does not allow get final details of live sound but it does gives absolutely sufficient idea about general interpretation and performing intends. If the reading and the performing intends of Fifth were dreadful than what the difference about anything else? I personally do fell that radio is absolutely sufficient tool in many instances and I would like to see more writers to write their comments regarding broadcasts, not only BSO but any other broadcasts we are getting in town. Actually, would someone tell Ron Della Chiesa de la Boston that the weekend’s guest conductor’s last name is NOT pronounced like the famous French actress. It’s no mystery how to pace the ending of Shostakovich 5: the score is clearly marked with quarter=80. Bernstein, whose 1959 recording was also one of my first purchases as a teenager, was simply sure that it couldn’t have been right. Like his cohort among the soi-disant American intelligentsia, he couldn’t imagine how a Soviet artist could not have intended a resounding affirmation. Add that to his showbiz love of a razzle-dazzle ending, and you have a perfect storm of self-deluded fatuity. The problem of following Shostakovich’s tempo indications is not limited to this symphony. The first prelude and fugue of op. 87 is also clearly marked as quarter=92 in common time, and yet I’ve heard many pianists take the fugue as if the marking was for a half-note in cut time, turning a gently thoughtful piece into a chariot race. Is it an unwritten assumption that there is a single right, or best, or ideal, or true, interpretation of a score? Or can there be many different valid interpretations, elicited either by new insights into the score on the part of the conductor, or by a new context of performance? I ask because Goethe was fully willing to concede that his “Faust” exceeded him. He felt that the painter Delacroix had noticed things in Faust that were really there but that he, Goethe, had not noticed. But maybe it’s quite different with music? *** Ashley: Is it an unwritten assumption that there is a single right, or best, or ideal, or true, interpretation of a score? Or can there be many different valid interpretations, elicited either by new insights into the score on the part of the conductor, or by a new context of performance? Ashley, good question. Yes, there is a single right, best, ideal, the ONLY true interpretation of a score, the interpretation that is aligned with performer’s intend. History knowa absolutely off the wall interpretations that made to be truly great and it is only because all expressionism of the given interpretation serves the main porpoise of the given interpretation. There are unfortunately multitudes of opposite examples – when shortmindness, superficiality and hunt to cheap bad taste effects make to play badly and all screw ups attributed to “it was my interpretation excuse”… Unfortunately in Boston last week we saw the later one… BTW, I do not blame BSO for that. With exception of many brass wrong notes they played well. It was clearly the man in the podium who made the weather. seasons. This gifted young maestro has such great authority and interpretive gifts. The Stravinsky was a revellation in so many ways and the always gifted Peter Serkin and Lehninger were in top form. are rare but when they occur, the result can be tin turned into gold. performing under this world-class young maestro. The audience @ 95% capacity went wild with 2 standing ovations. BTW Naxos new recording of the 5th with Vasily Petrenko and the Royal Liverpool Philharmonic may well be the greatest of all. a great English Orchestra sound like a first-rate Russian Orchestra! Glad someone else loved Tuesday’s performance! It’s hard to know what’s expected of an assistant who gets to conduct just one performance. He’s charged with conducting what someone else has prepared and led 3 times. Yet he needs to lead as if it were his own. Any sense of going through the motions or just repeating someone else’s moves and it would all fall apart. He delivered. And when he emerged for the last bow,the whole band was clapping and tapping and there were grins all around as they refused to stand and made him enjoy a solo moment before rising. Let’s hope management is on top of the Assistant Conductir hiring. This may be beating a dead horse by now, but I wanted to comment on the complaints about Mark DeVoto’s not reviewing the Shostakovich on Thursday night. As Lee Eiseman has pointed out, Mark was taken ill. But he observed the expected honesty of a reviewer who, for any reason, is not able to hear an entire concert that he has been sent to review. It is in fact not at all uncommon for a reviewer to explain straightforwardly that some circumstance prevented hearing the entire event. Most often, I suspect, it is traffic jams on the way to the concert. I can recall Richard Dyer, for example, noting the reason why he was unable to review the opening number, and last fall I was delayed at the tolls on the Mass Turnpike while heading to downtown Boston from Worcester on a Sunday afternoon, so that I missed almost the entire first half of a program that I was sent to review. Sometimes, too, a reviewer feels the necessity, or at least the urge, to say something about two different events happening simultaneously, so he decides to hear part of each one. Irving Kolodin wrote reviews like that for the Saturday Review, especially after Lincoln Center opened, so that he could quickly move from a New York Philharmonic concert to the Metropolitan Opera. He always scrupulously described exactly what music he had heard, and reviewed only that. As the only critic on the magazine’s staff, he felt that it would be undesirable to completely omit a significant event that took place during the week, even if he could not hear the whole thing. In Boston reviewers sometimes try to split the difference between a Sunday concert at the Gardner Museum (which begins early in the afternoon) and a Jordan Hall concert, which does not begin until mid-afternoon. No human being can review all of both concerts, but it is possible to express an opinion on at least part of each one. Of course no contempt is too great for a reviewer who reports on an event that he has not heard, and a fair number of them have been caught out at trying to do so when the program was changed at the last minute and the reviewer was not there to hear it…or when some particularly memorable musical catastrophe occurs during the performance, something that everyone in the audience will remember for years, but which mysteriously fails to receive a mention in the next day’s newspaper account. Such soi-disant professionals should never be sent out to review again. 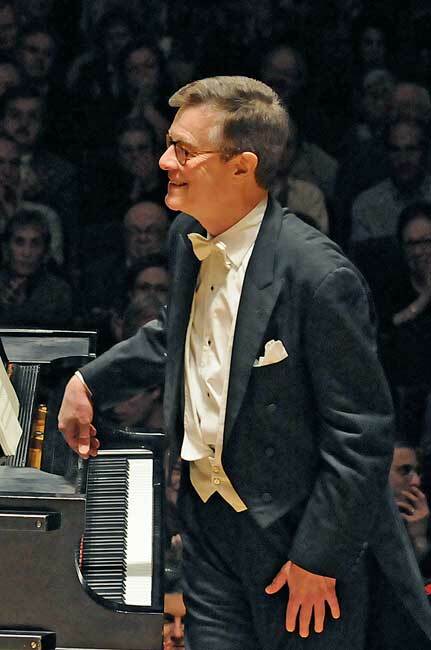 In reference to Steven Ledbetter’s comment: a few years back, I attended the Gardner performance by Christopher Taylor of Messiaen’s Vingt Regards sur L’Enfant Jesus, but had to leave two “Regards” into the second half (I stood after intermission at the back of the room), to race over to Jordan Hall to attend a recital by Jose Van Dam. Who was racing along the same path with me? Richard Dyer! Thanks for that link, Leon Golub. The way the reviewer describes the Ravel seems to fit perfectly the performance I headr at Symphony Hall. The New York review has a significant error, as Denève’s BSO debut was back in April of 2011. He was a substitute for Sir Colin Davis. That program was altered, at his request, with a piece important to the conductor, and a BSO 50th anniversary commission: the Symphony No. 3 by Albert Roussel. Denève also added Ravel’s La Valse, replacing the originally scheduled Sibelius Symphony No. 3 and Tapiola.